Hello everyone! Sean here to welcome you back to our Holiday, National Stamp & Scrapbook Month!!! It’s Day 8 of 28 days of giveaways and I am super excited to celebrate with you! 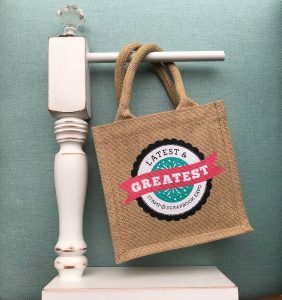 For our next sponsor, we have an awesome prize from Scraptique! Don’t forget to leave your comment on today’s blog post for a chance to win. One winner will be randomly chosen!!! Helping you create beautiful, purposeful handmade creations since 1999. Delivering creativity straight to your doorstep! Get started today! Aren’t these the cutest layout ever!! I have soo many ideas just by looking at them!!! Scraptique will be sending one very lucky winner this gorgeous prize pack that will include 7 page kits and a Graphic 45 set!!!! While we are waiting to see who the lucky winner is, you can hop on over to Scraptique’s social media channels. You’ll find TONS of inspiration there. 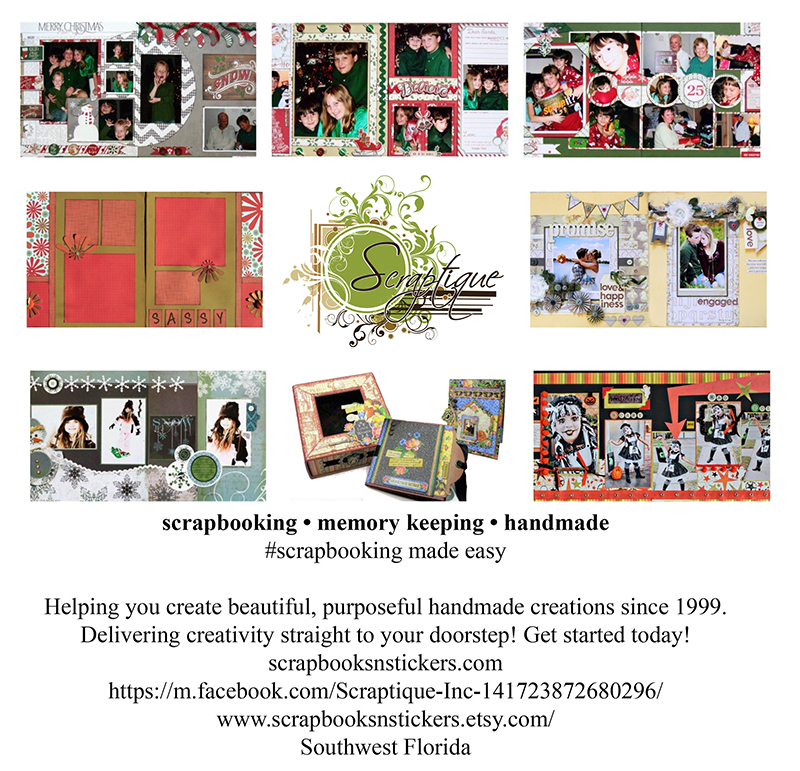 Please visit their website, Scraptique to learn more, sign up for their newsletter and find out when they will be visiting your area! This entry was posted in National Stamp & Scrapbook Expo Month and tagged 12x12 layouts, Card-making, Cardmaking, cards, Embellishments, Giveaway, Graphic 45, Mixed Media, Patterned Paper, scarptique, Scrapbook Expo, Scrapbooking, Stamp & Scrapbook Expo, Stamping, Vintage. What a nice prize! I like kits and seven of them wow! Such a great prize pack! Thank you for the chance to win. You had me at lime green. Thanks! Gorgeous giveaway. Thanks for the chance to win. I love their page kits and Graphic 45 is an added bonus! I love graphic 45 products. I used the wizard of oz for my sons wedding. It turned out terrific!!! Kits are my favorite! I really enjoy working with them and putting them together adding my own twist. Thank you for the chance to win! I love Graphic 45! Always need paper and layouts. 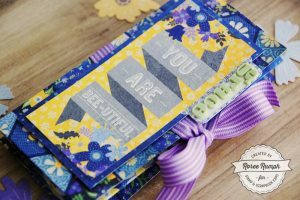 Love the kits…Love having layout ideas that are show-stopping and easy to do! Those kits are simply adorable! Love, love, love the prize. Kits are awesome; winning them, even more so! I love craft kits!! It’s fabulous! How awesome are these?!? Hope to win! I love kits and these are beautiful. What a great prize! This is a wonderful package! Awesome give away me me me!!! How convenient those kits would be! Awesome. 🙂 love this giveaway. Great kits! Amazing prize! Thank you for the opportunity to win! Wonderful prize, it’s so great. Very nice prize! I love G45!!! I’d love to win this to give me jump start on my scrapbooking! Very nice layouts and I am a huge G45 junkie. Great prize. Thanks for the chance! 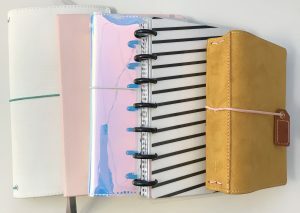 This would be a great addition to my supplies! They have so many great pages!